A Belgium tulip tester sits next to a 20 oz. 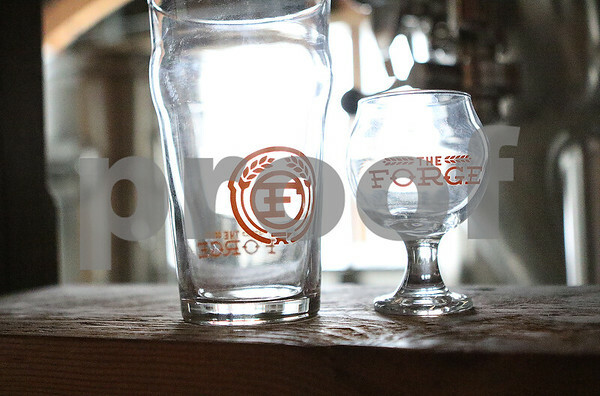 glass with the Forge Brewhouse logo in front of the brewhouse tanks at Forge Brewhouse in Sycamore on Tuesday, March 3, 2015. Owner J.D. Heinrich received his Class H liquor license from the city of Sycamore on Tuesday and will soon applying for his state liquor license.